These days I am bursting with surges of inspiration (well I guess it’s a good thing! 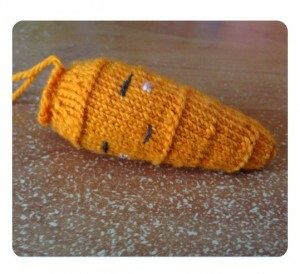 ), only problem is I cannot keep up with it (I can’t seem to knit fast enough before the next idea pops up to my head). 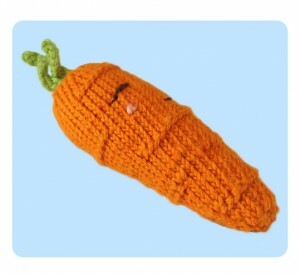 But, for now … Here I present Sweet Carrot, the new family addition of Free Cute Knit. The knitting pattern is purposely done so it has natural ribbing effects throughout the whole carrot body, which creates this texture similar to real life carrot! I really love cute things (I think that’s pretty obvious seeing the website name and all :P), so I sew embroidery for the face. However, If you like realistic knit, feel free to go without the face embroidery instead. I use Kfb increases when knitting the carrot, but since I use smaller needles for the recommended yarn, no holes are shown in the finished product :). I am in the process of knitting and creating a friend for my Sweet Carrot — I just hate to see her alone … I don’t want to reveal too much yet, but let me say that I will be modifying the pattern to use M1 instead of Kfb so you can see the different effects it will produce. Also, getting back to face embroidery, I use dark brown thread for the eyes and mouth instead of black to give it more subtle and sweet look to the carrot. Last but not least, I include a short video below of how I secured the carrot greens together, hopefully it will help someone when making it. 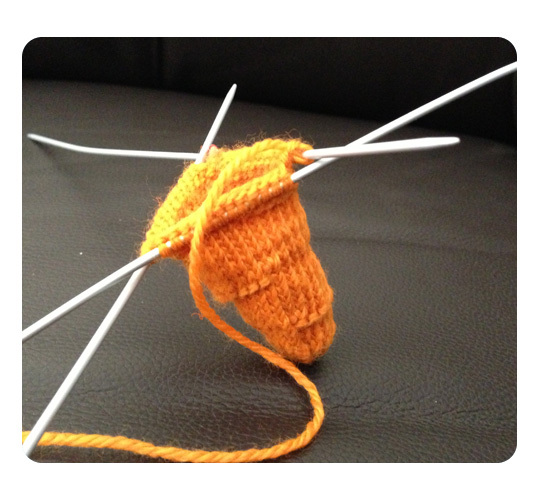 Round 1: Join, *Kfb* 6 times (total 12 sts) Place a stitch marker after the first Kfb. 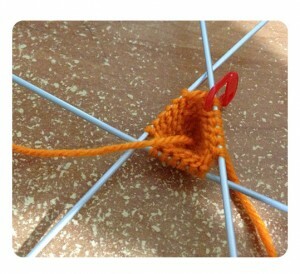 Cut yarn and thread through the remaining loop with tapestry needle, do not close the hole yet. Start with face embroidery, then stuffed the body with fiber fill or other stuffing materials. When finished, pull the yarn tight and secure. 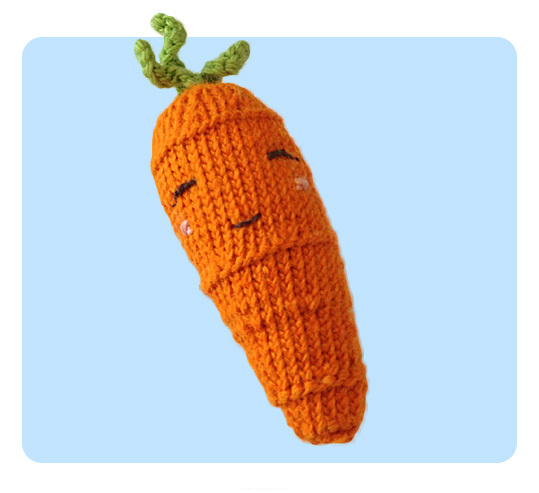 Sew the carrot greens to the top of the head, placing the long one in the middle (refer to the below video if you need any help :).